In case you missed any news action in the world of gold, we’ve got you covered. Each week we curate and deliver the latest and most relevant stories and trends about gold, precious metals, and the overall economy. Our top three favorites this week: Switzerland may go back on the gold standard, worried Scottish investors buy gold as a safe haven, and Iranians store more gold in their homes than the central bank. 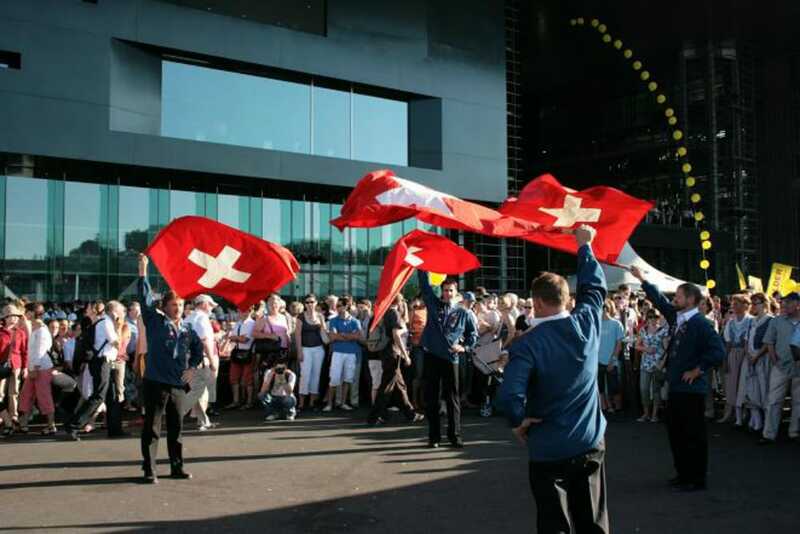 Voters in Switzerland are heading to the polls on November 30 to vote in a referendum on gold. Proposed measures include repatriating Swiss-owned gold held in foreign vaults, banning the Swiss National Bank (SNB, the country’s central bank) from selling gold, and backing the Swiss franc with gold by requiring SNB to hold at least 20 percent of its assets in the precious metal. “Arising from popular sentiment similar to movements in the United States, Germany, and the Netherlands, this referendum is an attempt to bring more oversight and accountability to the SNB, Switzerland’s central bank,” writes Ron Paul, the former Republican congressman from Texas. Until 2000, the Swiss franc was backed by a 40% gold-reserve, which makes Switzerland the last country to abandon the gold standard. In the 2000s, the SNB sold about 60 percent of Switzerland’s gold reserves. The bank also pegged the Swiss frank to the euro, and “the peg’s effects have already manifested themselves in the form of a growing real estate bubble, as housing prices have risen dangerously,” says Ron Paul. Investment in physical gold in Scotland has surged by 42 percent in the past fortnight in addition to spikes in gold demand typical for the season, according to the Telegraph. A Yes vote in Scotland’s referendum on independence Thursday would mean breaking a three-century old political union and years of uncertainty for the Scottish economy. The unusual surge in gold demand implies that Scottish investors are anxious about the future and are turning to gold to protect their assets. Economic uncertainty in Iran has pushed many Iranians to gold. A recent report suggest that more gold is stored in Iranian homes than in the country’s central bank, says news site Payvand.com. Gold and jewelry producers and exporters say that more than 100 tons is stored in people’s homes. At the same time, a recent report shows that the central bank of Iran holds 90 tons of the yellow metal. To keep up with even more news on gold and precious metals, follow our Twitter profile.